Anyway, I recently watched a beautiful, old-fashioned, gentle documentary JULIETTE OF THE HERBS . It is about the fascinating and adventrous life of herbalist JULIETTE DE BAIRACLI LEVY, who left England to go and live with the gypsies and farmers of Europe, Turkey, Greece, Israel and North Africa to learn plant-lore and herbalism. In the film, she seems like a wise, gentle soul with great integrity and inner-strength. I found her very inspiring indeed. 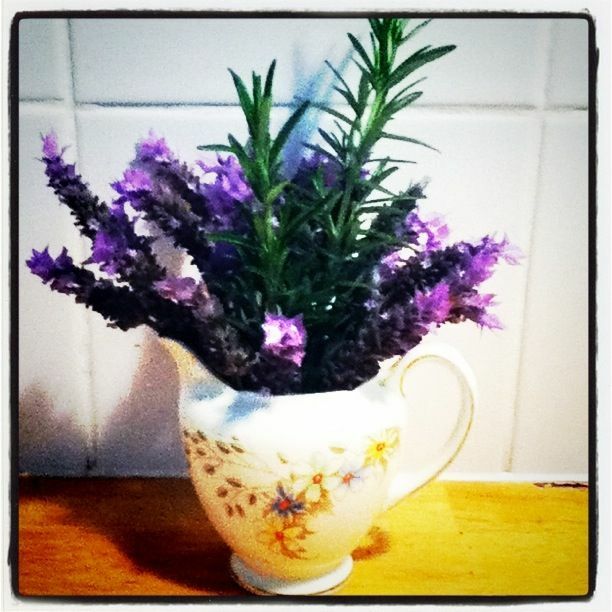 I’m teaching myself about herbs, too – just using books and at-home experiments. Whenever there is a gap in my garden, I try to find a new herb to fill it. I’d like my summer garden to be full of aromatic herbs and busy with bees! Here’s an old wive’s tale for you – plant rosemary around your front door…rosemary is the herb for strengthening memory*, so if you have rosemary by your front door it’s believed your friends and loved ones will always remember you. Handily, it is also thought to ward off evil. Bonus! *If you are studying for an exam or writing something which takes great mental focus, put a dab of rosemary oil on your shirt. I haven’t watched the video yet but I think I want Juliette’s life. And coincidentally, I have rosemary planted near my door. I’ll be watching the documentary. An early morning rosemary infused bath helps me revive my spirits for the day. But we need a few new bushes so thanks for the push. Yay, and luckily it grows rapidly and looks after itself pretty much. I also like to dry it and then grind it up in my mortar and pestle with some rock salt to make delicious herb salt for cooking savoury dishes. PS In my former life the medieval and renaissance herbals were central to my research and so much of what they described is familiar to the treatments we develop today. So plant away! Bees and friends and repelling evil – what more do you need? What did you study, Kate – it sounds fascinating! Thanks Helen, I was moved watching Juliette. I’m slowly learning about herbs too and love the way Juliette deeply embodied nature as teacher and friend.